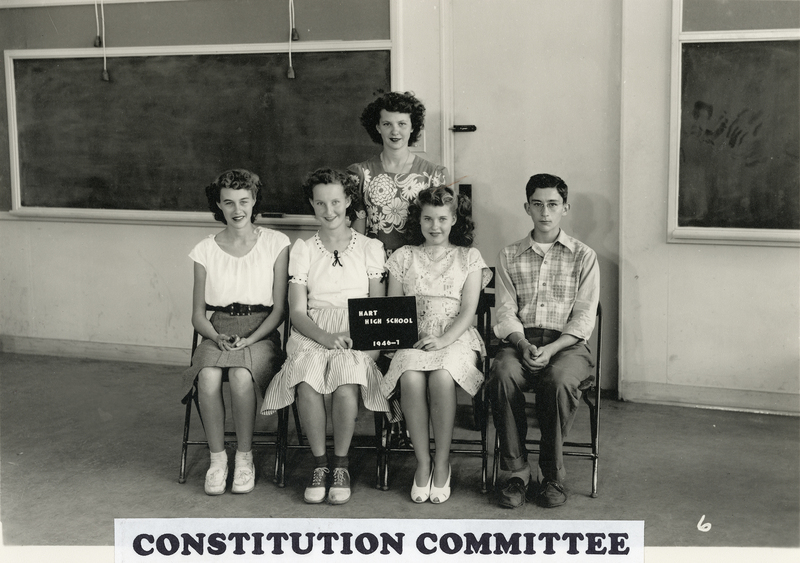 SCVHistory.com GA4602 | Hart High School | Hart ASB Constitution Committee 1946-47. 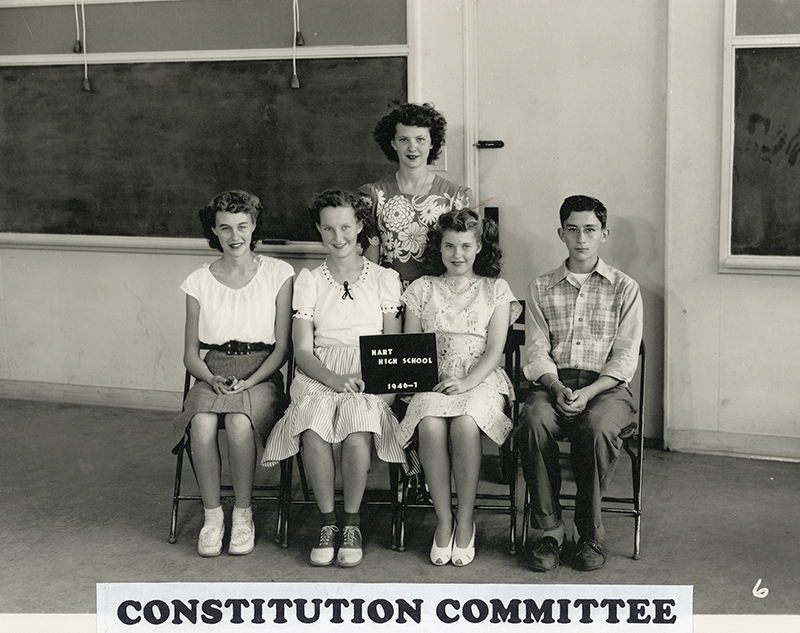 Hart High School ASB (Associated Student Body) Constitution Committee, 1946-47. Collection of Gwen Booth (Gallion), Class of 1949, and Dean Gallion, Class of 1950. GA4602: 9600 dpi jpeg from original 8x10 print, collection of Dean and Gwen Booth Gallion.